Topic: Our collection of litter known as the Great Pacific Garbage Patch, and how to make the ocean a cleaner place for the future. At school recently, we learned about the Great Pacific Garbage Patch. My friends and I were really shocked to find out that there is so much garbage in the ocean that it has formed its own mass! And it’s not the only one. The Great Pacific Garbage Patch, also called the Pacific Trash Vortex, is a gigantic group of micro-plastics and other litter in the middle of the North Pacific Ocean. It is thought that currents called gyres routinely take debris to where the garbage patch now sits. Scientists believe that it holds at least 3.5 million tonnes of litter, such as plastic bottles, plastic bags, aluminium cans and plastic cups. The garbage patch is said to be almost three metres deep and has six times more plastic than plankton. Over recent decades, plankton has been eating plastic, so plastic gets into the food chain. Small fish eat plankton, big fish eat small fish, and we eat big fish – so we are actually swallowing plastic. The Great Pacific Garbage Patch covers an area that is twice the size of France and is the biggest garbage pile in the world. There are actually four other garbage patches – one in the Indian Ocean, the North Atlantic, the South Atlantic and the South Pacific. 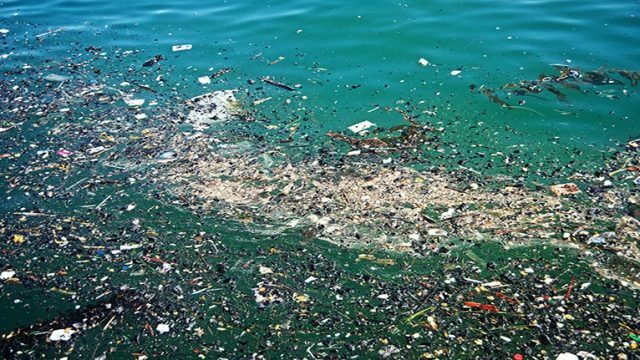 There is also one unconfirmed patch called the Mediterranean Sea Garbage Patch. Surprisingly, the Great Pacific Garbage Patch was only discovered in 1997. Californian Captain Charles Moore sailed through the North Pacific gyre, an area of ocean that most sailors avoid. He was appalled to find an enormous amount of garbage where he expected to see clear, clean ocean. If I had seen that, I would have wondered if I had sailed into a flooded landfill. TBS Next Gen: Circus animals, the last vestige of acceptable cruelty? Humans produce, use and discard plastic items, which make their way through drains and out into the ocean. This is terrible for both our beautiful environment and us. Most plastic is biodegradable, but it takes centuries to decompose. This means that much of the trash in the world’s garbage patches will never disappear. I feel disgraced and upset that we have not taken care of our planet as well as we should have. The Great Pacific Garbage Patch causes many disturbances to the environment and various ecosystems, such as littered beaches and death to marine life. These interruptions create an imbalance in nature’s cycle and will affect us in the end because there are decreased amounts of seafood and the fish that we do eat is often contaminated. Also, seabirds and animal beach-dwellers mistake plastic bags on beaches for jellyfish that have been washed ashore. They eat the plastic bags then feel full, but they actually have not consumed any food so eventually will starve to death. That’s so sad. People repeatedly wonder and ask why we don’t just pick up all the garbage? We are actually incapable of doing this because we have nowhere to send it all, but this doesn’t stop marine biologists and other people who care about the ocean – such as my friends and I – researching and trying to come up with solutions. Most of these solutions are not suitable though, like sending all of the garbage into space or scooping it up with boats that have nets attached to them, but there are some ideas that might make it into the maybe pile. These include fixes such as using the garbage from the patch to make better products like clothing or recycled paper. In my opinion, this also helps people because you can give clothing to those in need or paper to children who don’t have access to writing materials and books. It’s important that everyone learns what happens when they drop litter on the street, into rivers or into oceans. These things are all connected, so the rubbish always ends up in the same place – the oceans’ garbage patches. I feel angry when people have no respect for the world and they throw their trash on the ground without thinking. It’s not hard to take some extra time to put it in the bin. When we understand how the Great Pacific Garbage Patch is produced and evolving, we can work out how to fix it. So what are you waiting for – go make a difference in the world! to become a mentor, please contact us.